Andres Roots Roundabout: Upcoming: Tallinn with Dave Arcari! Upcoming: Tallinn with Dave Arcari! 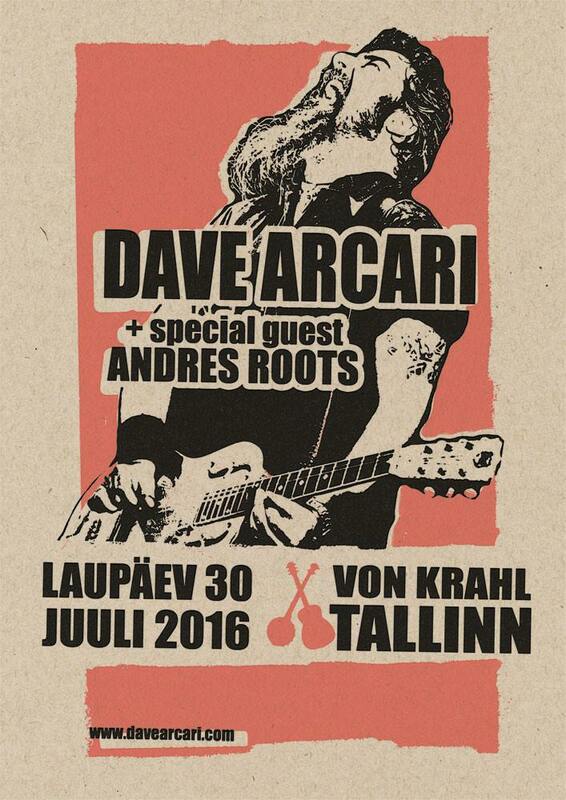 On Saturday, July 30, Andres Roots will be opening for old friend & alt.blues master Dave Arcari at Von Krahl in Tallinn! If you haven't seen Dave live yet, you don't know what you've been missing - and you can read about Mr. Arcari's influence on Andres' own music in this recent interview.